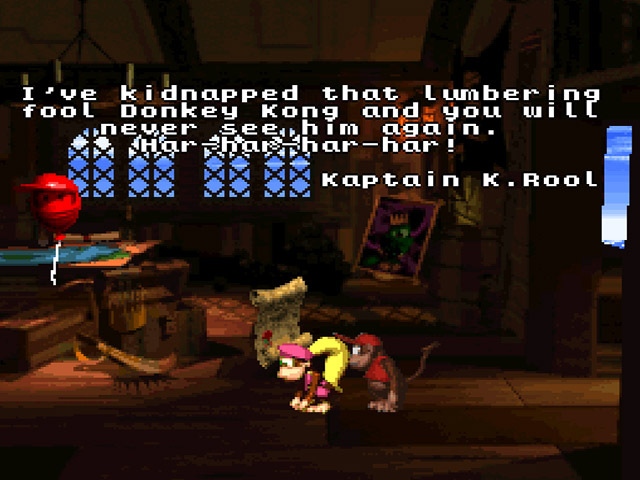 Donkey Kong Country 2 is an amazing game. 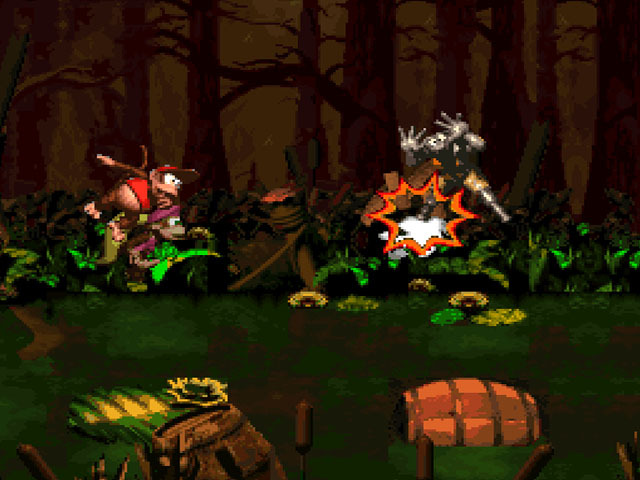 The sequel to Donkey Kong Country, this one improves on the original one is almost every way. You play as Diddy and Dixie kong. You will go through many worlds and levels. You must defeat the boss at the end of each world to move on to the next world. Your ultimate goal is to rescue Donkey and defeat King K. Rool. Diddy has his cartwheel move and you can use this to jump further if you time it right while jumping off a ledge. 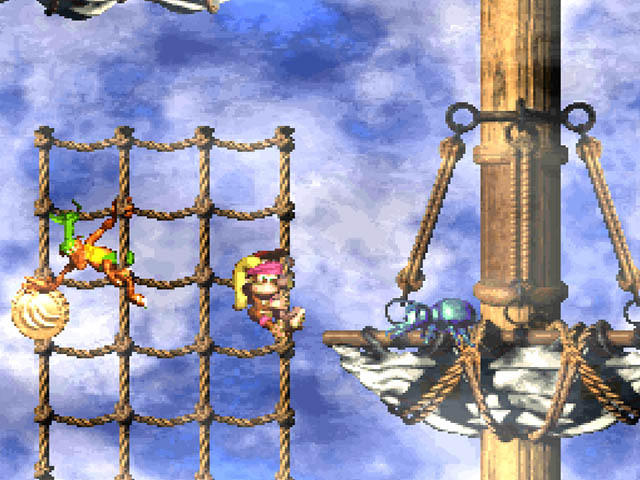 Diddy and Dixie can tag-team to reach higher areas. You can collect bananas, krem koins and DK coins to get 100%. Collect enough krem koins to find the secret world. 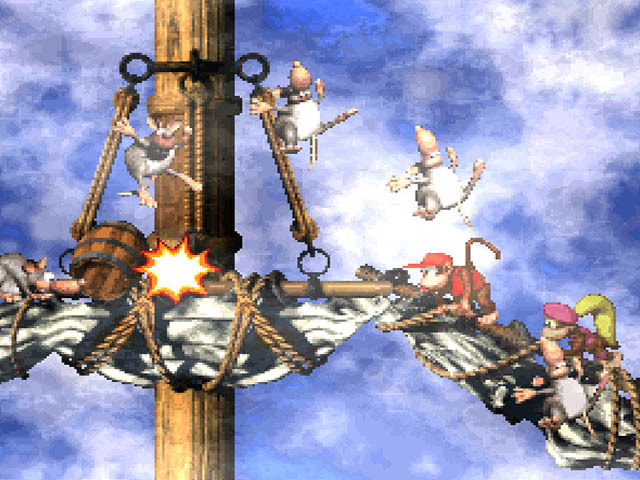 DKC2 also features an amazing soundtrack, the levels and atmosphere of the game is amazing. 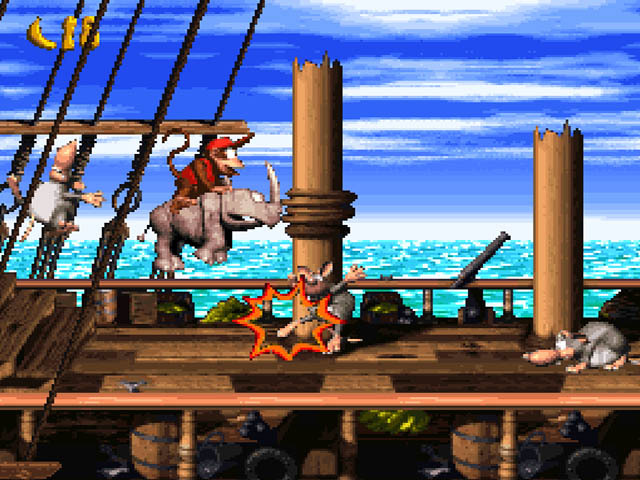 Any fan of platformers or Donkey Kong, will love this one. 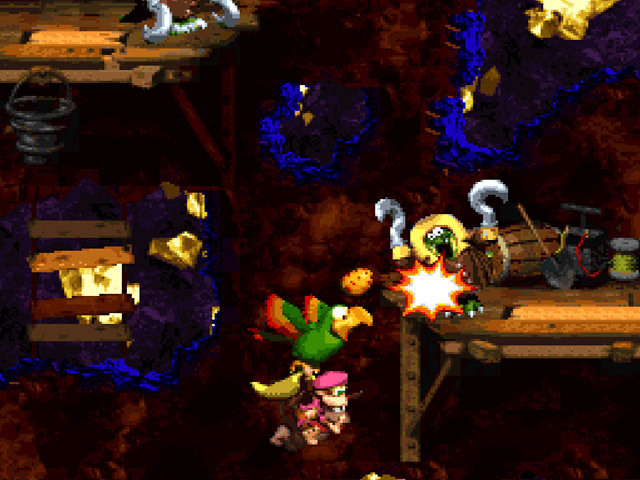 When it comes to the Donkey Kong Country series, the gameplay is always just perfect. 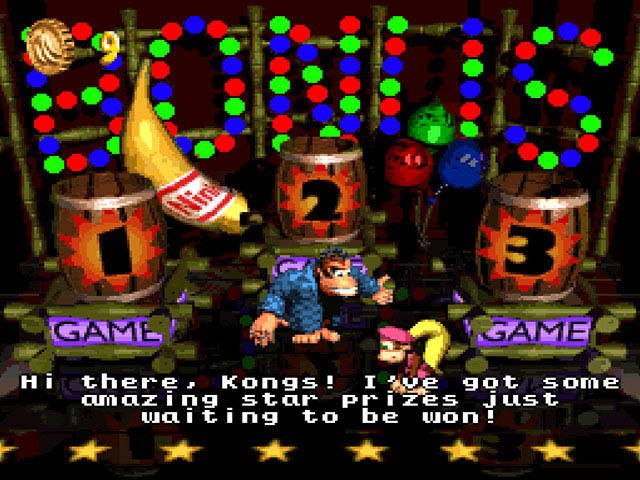 It's all about the barrel shooting, banana collecting, rope swinging, and baddie beating.This time around you play as Diddy alon with Dixie as you try to save Donkey Kong. I very much enjoyed this game and highly recommend this game. An Overall classic for the SNES, that only gets better as the years go by. 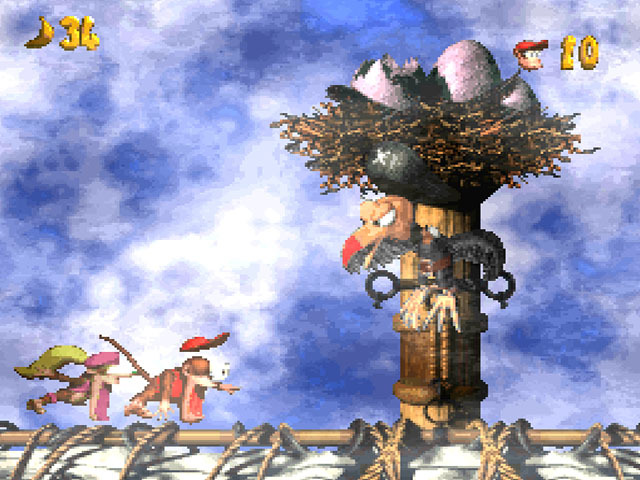 Take controller of Diddy Kong, and his girlfriend Dixie, to save the lumbering ape Donkey. Although I would say this game is similar to games such as Super Mario World or the Super Mario Bros line, it is very unique and very enjoyable! 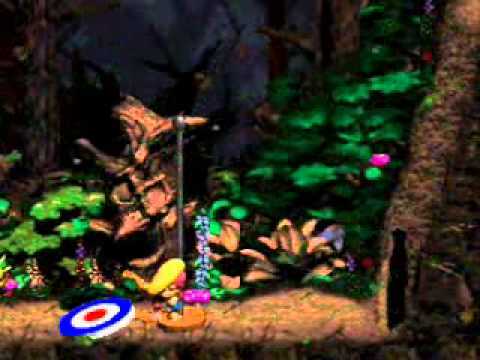 Out of all the Donkey Kong Country games, #2 was definitely the best by far. Now you can add videos, screenshots, or other images (cover scans, disc scans, etc.) 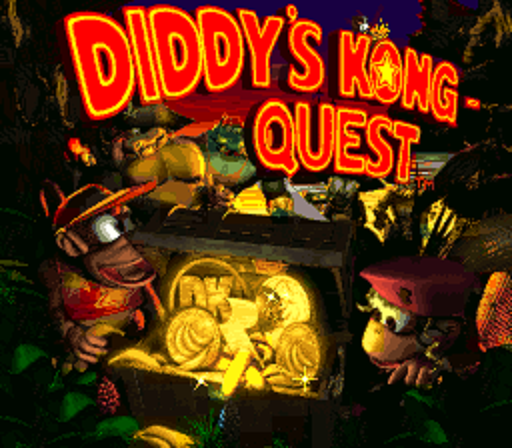 for Donkey Kong Country 2 - Diddy's Kong Quest (USA) (En,Fr) to Emuparadise. Do it now!